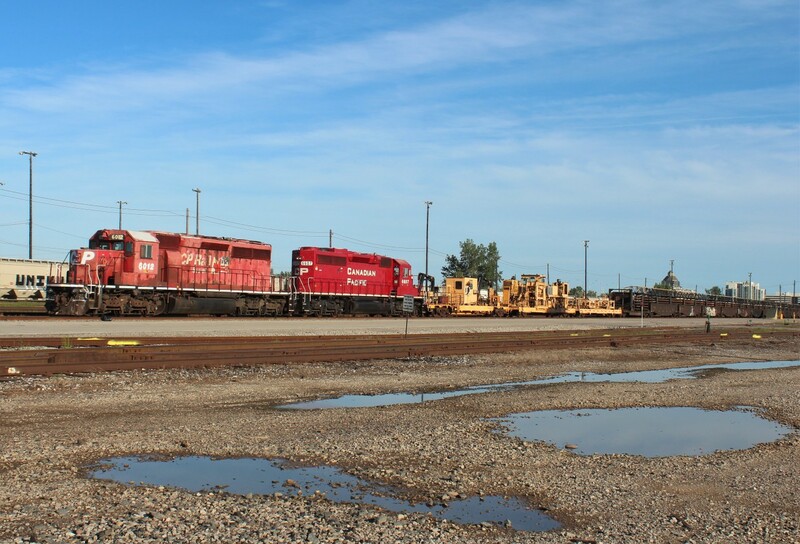 Railpictures.ca - Paul Santos Photo: A pair of SD40-2′s pull in with a work/rail train to lay up for the night. | Railpictures.ca – Canadian Railway Photography – photographie ferroviaire Canadienne. Caption: A pair of SD40-2's pull in with a work/rail train to lay up for the night. Nice shot, Paul. Do you know where this was headed?